Good evening fellow hunters. 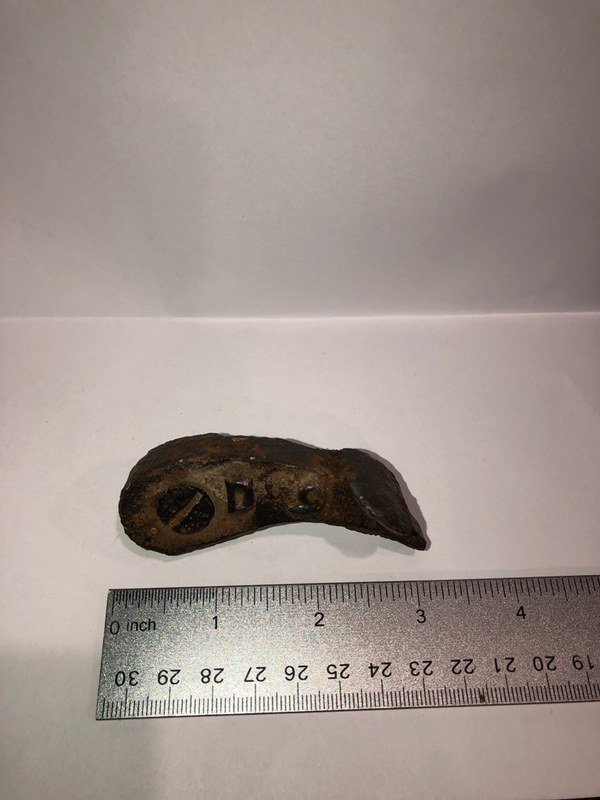 At a quick glance I thought I had dug up a flint piece of a flint lock rifle. But as I examine it... idk anymore. Why the “D 9” on it. Can we get something for size comparison? 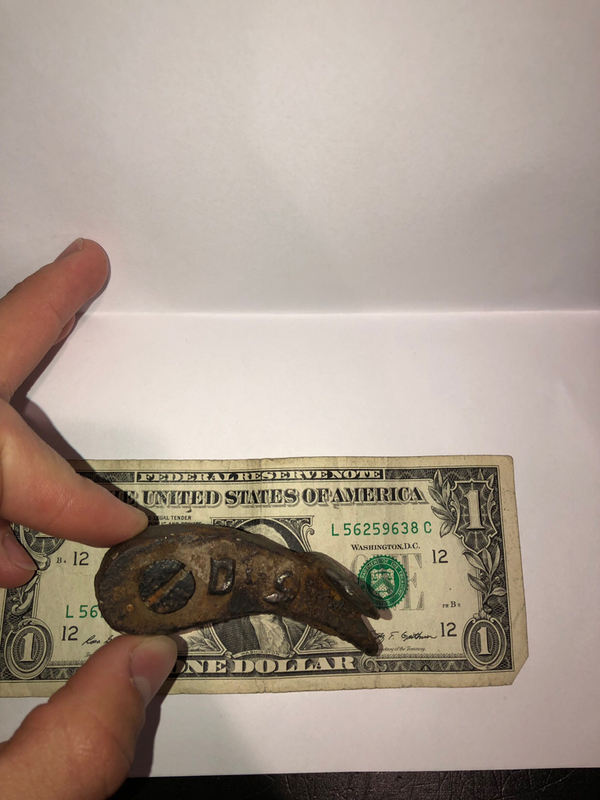 I’m thinking it’s not a rifle part that I can identify but maybe a locking tooth from something like a winch or wagon brake? Yep! Some manor of ratchet latch. is this good for a size comparison ? Thank you guys for responding ! My guess is that it’s a window latch sash lock. They come in many different styles and sizes but whatever you have I think it served something similar to that. That was the word I was looking for! They use them on all kinds of stuff. Thank you so much you people are good. Good ID. Now how do I mark this as solved ? What I do to mark as solved, is click "Edit post", then just add the word "Solved" to the original title. Yes, Id good but from what is it from? Possibly a winch or a tractor/ crop machine.